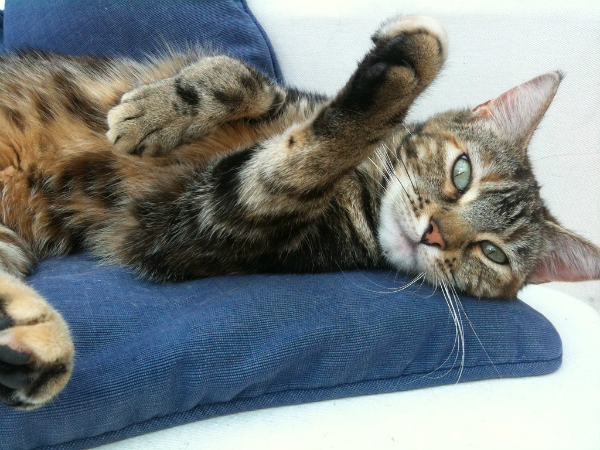 Alternative medicine can maintain or improve a catÔÇÖs health when it supplements regular vet care. Given the rapid growth of complementary medicine in human health care, it’s not surprising that it has also made its way into veterinary medicine. Holistic or integrative medicine is not without controversy, though: Some treatments have been scientifically proven to have benefits, but others have not. Opinions about these unproven techniques range from belief due to anecdotal evidence, through skepticism, and all the way to outright hostility. Tomorrow (Saturday, Aug. 30) is National Holistic Pet Day, so now’s a good time to go over some of these alternative care options. Whatever your beliefs about these holistic care options, they are out there and I think we should be informed about them. I believe they are harmless if — and only if — they are practiced by a licensed or qualified veterinary provider and they are used in addition to standard veterinary medicine and not as a substitute for regular vet care. Acupuncture has been practiced on animals and humans for about 3,500 years. This technique involves inserting very fine needles into various points in the body, and it has been used to stimulate nerves, manage pain, increase appetite, improve circulation and relieve muscle spasms. 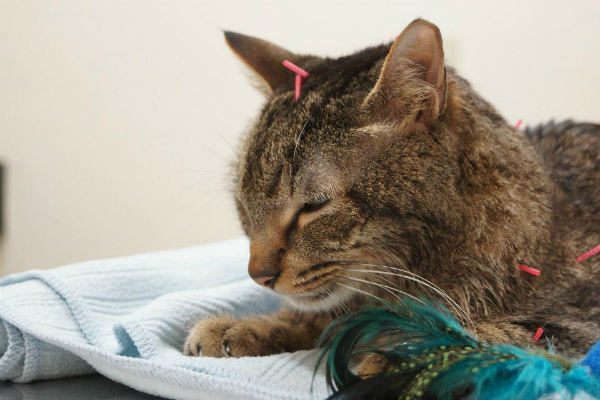 Most cats tolerate acupuncture well because the needles are so small that they don’t cause pain when inserted. Some veterinary acupuncturists use "laser acupuncture,” in which a focused beam of light is employed to achieve the same effect. In chiropractic treatment, joints are manipulated to correct alignment and restore the body to full function. 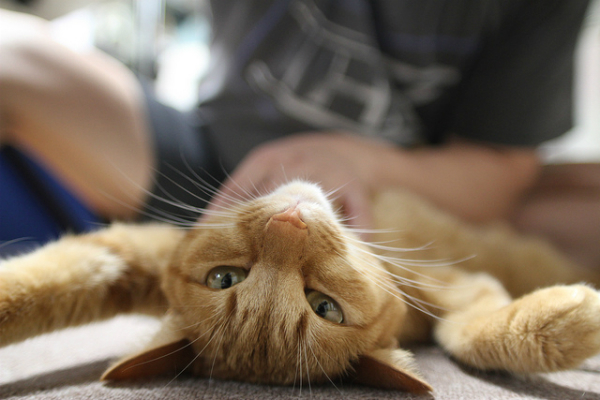 In cats, chiropractic is generally used to manage conditions such as arthritis, neck pain, muscle spasms and pain related to injury or trauma. If you choose chiropractic care for your cat, you must use a licensed veterinary chiropractor because he or she will combine knowledge of cat anatomy with an understanding of how much pressure is needed to achieve the desired effect. Homeopathy is based on the principle of "like cures like," which means that a substance that triggers symptoms in large amounts can be used in tiny amounts to cure the same symptoms. Homeopathy is one of the more controversial techniques because the way it works is not scientifically understood, and most people think the reason it works is the placebo effect. 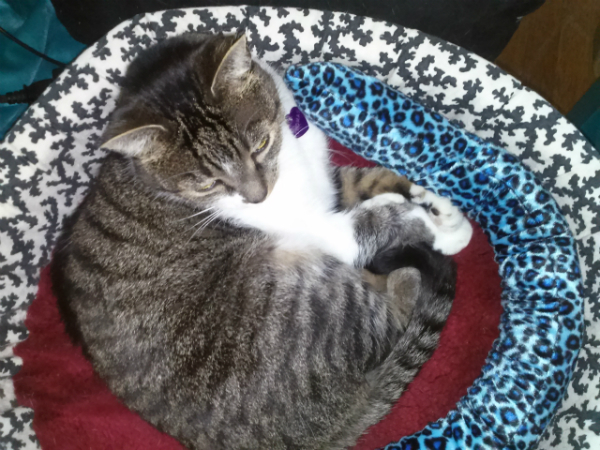 That said, I have seen it work in my cats and I’m glad it’s in my cat care toolbox. In the early 1900s, British physician Edward Bach identified 38 flower essences whose “vital energy” could aid the healing process by improving patients’ emotional state and immune systems. Over the past 20 years or so, flower essences have grown in popularity, and some manufacturers have created formulas specifically for use in cats and other animals. Although there is no scientific proof of how flower essences work, there are many anecdotal reports of their effectiveness. If you do choose to use flower essences, be sure to use formulas designed specifically to be safe for cats. This technique encompasses everything from traditional Chinese medicine to the use of medical cannabis to manage pain. Cats generally tolerate herbal remedies well, although you must use a qualified practitioner to ensure that you are not giving your furry friend a cat-toxic herb and to avoid potential dangerous interactions with other medications. Once again, these techniques are meant to be used in conjunction with the care you get from your regular vet, not as a substitute. Holistic veterinarians, trained in one or more of these techniques, can be found in most of North America. To find a holistic vet or a practitioner licensed in one of these techniques, visit the American Holistic Veterinary Medical Association website. Have you used these or other holistic techniques for your cat? What were the results? Share your thoughts in the comments.